If you are looking for a stylish and functional element for your small bath or wash room space, then this 24 inch vanity is a great choice. 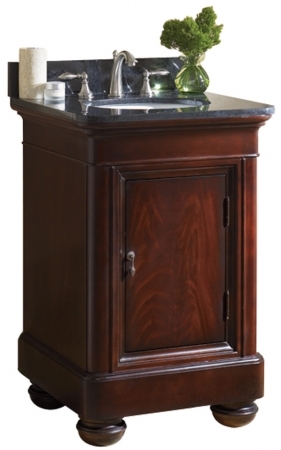 The merlot finish gives it a rich appeal that will be enhances by your choice of black or tan granite. An under sink cabinet offers storage capacity. Fixtures are not included.